In August 2008, while British resident Binyam Mohamed still languished in a prison cell in Guantánamo, two British High Court judges attempted to inform the public about what, in May 2002, the CIA had told their British counterparts about how they had treated him while he was being held in Pakistani custody, shortly before a British agent interrogated him. The judges were Lord Justice Thomas and Mr. Justice Lloyd Jones, and their attempt to inform the public came in a judgment that followed a judicial review of Mohamed’s case during the summer of 2008, which was itself triggered by the British government’s refusal to release 42 documents in its possession regarding his detention in Pakistan. In their judgment last August, the judges made it clear that they were appalled by the global torture program in which they had found themselves unexpectedly immersed. In one of the most extraordinary stories in the “War on Terror,” Mohamed, a British resident picked up in Pakistan in April 2002, had been rendered by CIA agents to Morocco in July 2002, where he had spent 18 months being tortured, had then been rendered to Afghanistan, to the “Dark Prison” outside Kabul, a secret prison run by the CIA, where he had spent another four months, and had then been flown to Guantánamo, where he remained while the judges grappled with the largely classified evidence of a global web of kidnapping and torture. 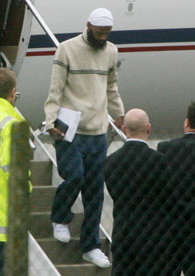 The judges also seized on an admission, made on behalf of the foreign secretary, David Miliband, that Mohamed had “established an arguable case” that, until his transfer to Guantánamo, “he was subject to cruel, inhuman and degrading treatment by or on behalf of the United States,” and was also “subject to torture during such detention by or on behalf of the United States,” and ruled that, because the information obtained from Mohamed was “sought to be used as a confession in a trial [by Military Commission at Guantánamo] where the charges … are very serious and may carry the death penalty,” and that it is “a long-standing principle of the common law that confessions obtained by torture or cruel, inhuman or degrading treatment cannot be used as evidence in any trial,” the British government was required to hand over the evidence — 42 documents in total — to his lawyers. In the end, however, the judges stopped short of ordering the government to release the 42 documents — and also stopped short of including in their judgment a seven paragraph summary of these documents — bowing to pressure from David Miliband, who, in the absence of any other straws to which to cling, urged them not to order disclosure of the documents because of national security concerns; specifically, that to do so might damage the intelligence-sharing relationship between the UK and the US. Much has changed in the 14 months since this initial judgment. Last October, in the United States, the Justice Department responded to similar pressure to release the documents, applied by a judge in Mohamed’s habeas corpus petition, by dropping the central allegation against him — that he was involved, with US citizen Jose Padilla, in a plot to detonate a radioactive “dirty bomb” in New York — and, in November, the Defense Department shelved Mohamed’s proposed trial by Military Commission, which focused on the same spurious claims. To anyone who had been studying the case closely, this was a relief, as, back in June 2002, before Mohamed’s rendition to Morocco, and just a month after Padilla’s capture (and before his long isolation and torture on the US mainland), Paul Wolfowitz, the deputy to US defense secretary Donald Rumsfeld, admitted that “there was not an actual plan” to set off a “dirty bomb” in America, that Padilla had not begun trying to acquire materials, and that intelligence officials had stated that his research had not gone beyond surfing the Internet. Despite these developments in the US, the British judges found themselves engaged in a far more intractable struggle with their own government. In two hearings that followed their August judgment, the foreign secretary produced correspondence from US State Department officials, clearly threatening the intelligence-sharing arrangement between the US and the UK should the documents be released. In a first letter, dated August 21, 2008, John Bellinger, the US State Department’s Legal Adviser, stated that disclosure of the documents — or of the information they contained — was “likely to result in serious damage to US national security and could harm existing intelligence sharing arrangements between our two governments,” and in a second letter, dated September 5, 2008, Stephen Mathias, the State Department’s Assistant Legal Adviser, went one step further, suggesting that there would be “serious and lasting damage to the US-UK intelligence sharing relationship,” should the documents — or the information they contained — be disclosed. There can be no doubt that there is a general principle or convention that intelligence information received by one State from another will not be released into the public domain or otherwise used without the consent of the state supplying it. The second factor that needed to be considered was the explicit threat provided by the United States, regarding the intelligence sharing relationship between the US and the UK, and it is on this point that, since the election of Barack Obama as the 44th President of the United States, the British government has, to be blunt, struggled to establish that the new administration has made the same threats as the Bush administration. 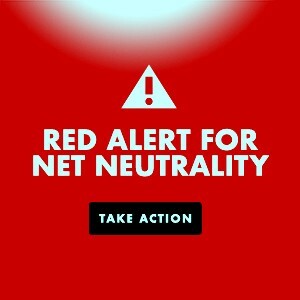 As a result — unaware that the government’s assertions had been challenged — the judges issued a fourth judgment on February 4, 2009, in which, yet again, they reluctantly defended the government’s position. However, it appears, from last Friday’s judgment, that they almost immediately regretted making this decision, for the following reasons. … when questions were asked of the Foreign Secretary, both in the media and in Parliament, as to whether there was any change of position of the Obama Administration, his response was made in relation to the general principle of control over intelligence and not in relation to the specific statement made by the Bush Administration that it would reconsider its intelligence sharing relationship. In the meantime, in a move that appeared to have been designed to take the heat off both the British and American governments, Binyam Mohamed was actually released from Guantánamo, arriving back in the UK on February 23, but the case, of course, had a lumbering legal life of its own, and refused to go away. It also transpired that the judges had been influenced by “an interim statement” made by the Obama administration, which “made clear that the United States Government was ‘considering the decision on the public disclosure of the US intelligence information that is summarized in the seven paragraphs,’” but had not yet made a decision. However, just before the judges decided to reopen their judgment, the Treasury Solicitor, acting on behalf of the foreign secretary, submitted a two paragraph summary of a letter, dated April 30, “from an entity of the United States Government to an entity of the United Kingdom Government (the details were redacted), which, it was claimed, established that the Obama administration was following its predecessor’s line, and maintaining that disclosure of the judges’ summary would have serious consequences for the intelligence sharing relationship between the US and the UK. The seven paragraphs at issue are based upon classified information shared between our countries. Public disclosure of this information reasonably could be expected to cause serious damage to the United Kingdom’s national security. Specifically, the disclosure of this information may result in a constriction of the US-UK relationship, as well as UK relationships with other countries. This is not the end of the story, of course. The government, predictably, has appealed yet again, but whilst it is, of course, vital for “open justice” that the judge’s redacted paragraphs are restored, it should be noted, in conclusion, that the entire sordid story of cooperation between the US and the UK in the torture of Binyam Mohamed goes deeper than this judgment allowed the judges to delve. This entry was posted in All Posts News Politics and-or Videos, CIA, Dandelion Salad Featured Writers, England-UK-Britain, Gitmo, Politics, Rendition, Torture, Torture on Dandelion Salad and tagged Andy Worthington, Binyam Mohamed, Worthington-Andy. Bookmark the permalink.